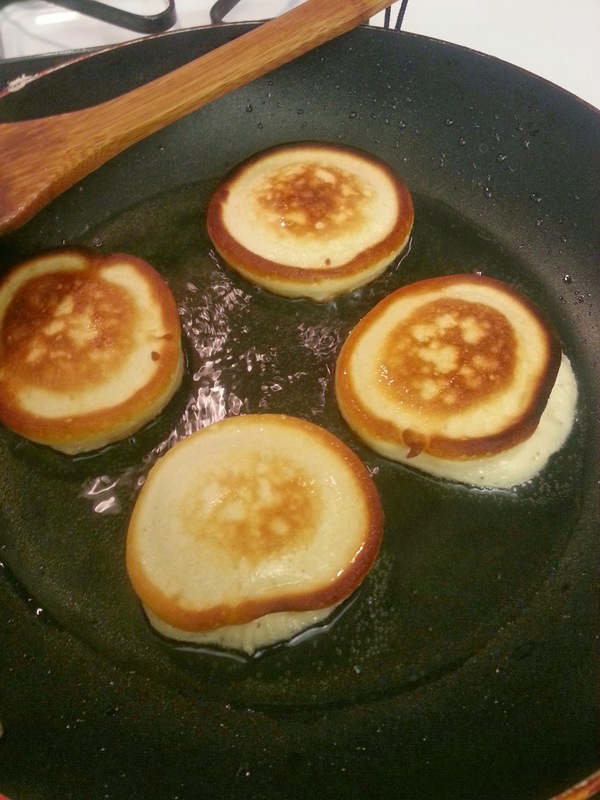 Today I am going to show you how to make traditional Ukrainian pancakes called oladji. Note: some may argue that these are traditionally Ukrainian and insist they are Russian. In all honesty – I don’t care. I know what I know from my family and our traditions, dating back to the times of Pushkin! More importantly – this is not about argument. This is about PANCAKES! First of all – time. It will take you about an hour and a half to fix these beauties. So, plan accordingly. 1. 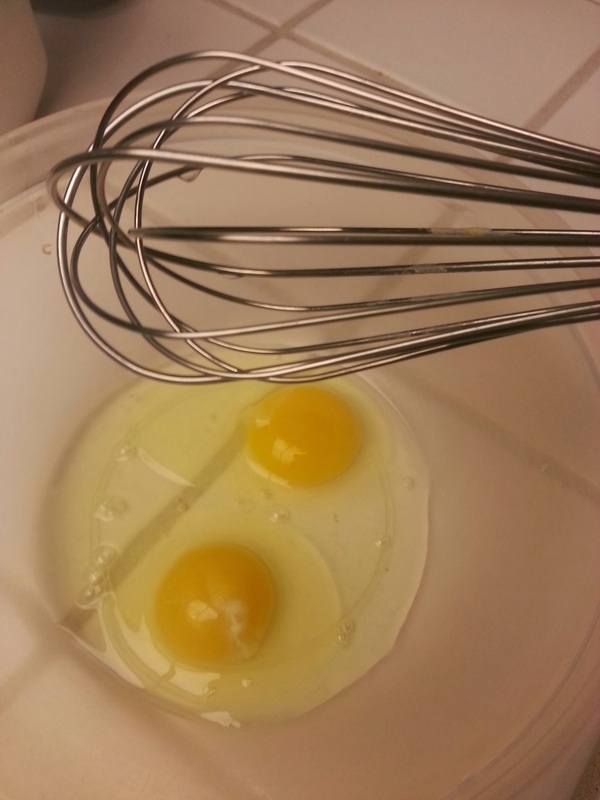 Beat the eggs with 0.5 ts of salt and 0.5 cup of sugar. You can use any mixer you like. 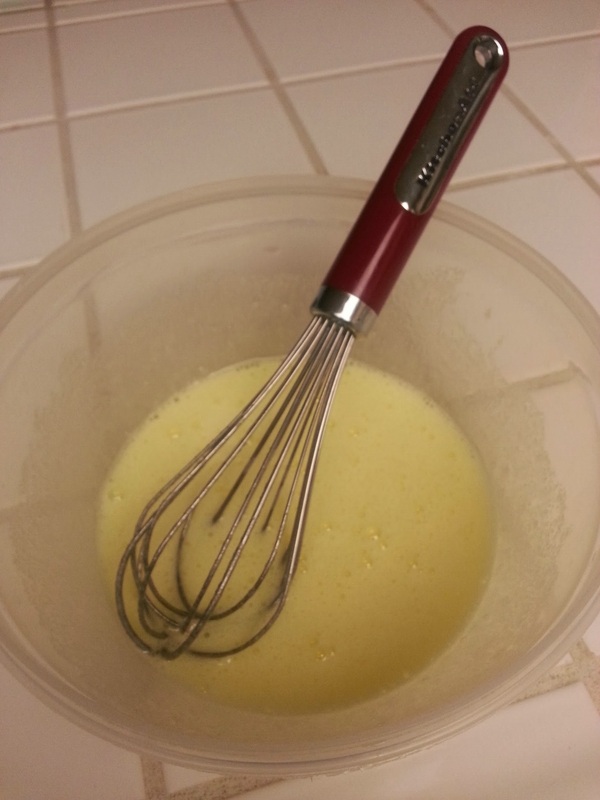 I just decided to make it traditional and use a whisk. 2. 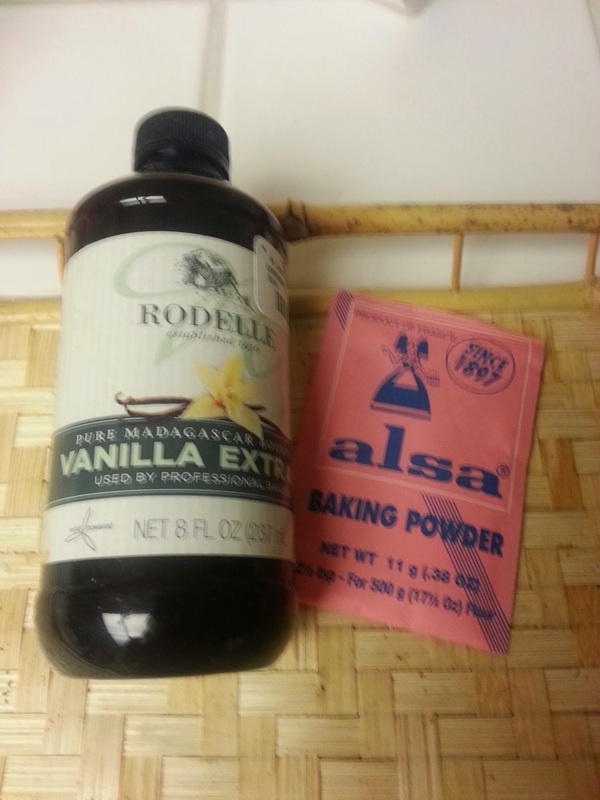 Add 2 cups of milk, vanilla and baking powder. Mix a bit. 4. 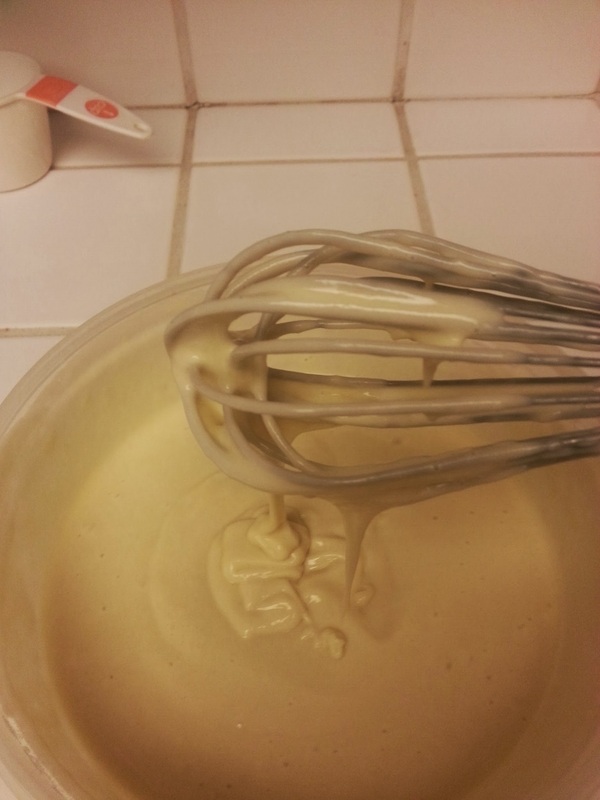 Continue mixing until you get a smooth texture. It should not get too liquid! The consistency you need is a bit lighter than sour-cream. 5. Pre-Heat your frying pan with oil enough to cover the bottom, but not as much as for making french-fries! Take a table spoon and enjoy the fun! Usually a frying pan can for 5 pancakes. My grandma can fit 6! You will probably start with 4 / pan and work your way to 5 or even 6 by the time dough runs out! Now, all you have to do is flip & fill, flip & fill, up until you transform the pale unattractive dough into plum and mouth-watering pancakes! 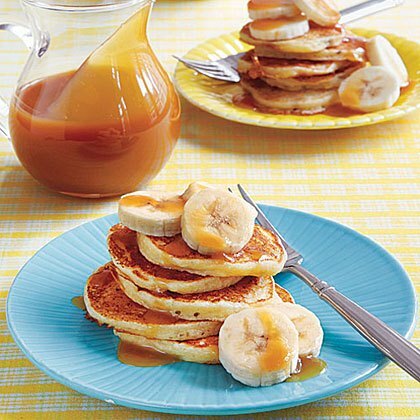 A trick for those who don’t like it sweet: add less sugar into the dough, but sprinkle some powdered sugar over the cooked pancakes to serve to those with a sweet tooth in your family. Serve hot with sour-cream, jam , syrup, lemon juice or even cream-cheese!! Don’t forget mint tea!! A note to the connoisseurs of international cuisines regarding Moroccan cuisine: my experience has proven that UNLESS you tasted Moroccan cooking IN Morocco, at a LOCAL restaurant, NOT in a fancy touristic one, you have not experienced the real deliciousness of it. Moreover, you might even be convinced that Moroccan cuisine is not tasty and you don’t like it, only because you had eaten the dishes outside of Morocco, somewhere in America, let’s say. Let me explain: I would have been impressed by the food at a well-known restaurant in Las Vegas (!) if I had not previously eaten the dishes on the menu in their natural environment, cooked by my husband’s mother. Incomparable. And if compared, the Las Vegas version would have to be thrown away and deemed uneatable. Now, back to pancakes. Which there are more than one kind. More than three, I may suggest. And it’s not only the shape that is different! The easiest to cook are called Baghrir. 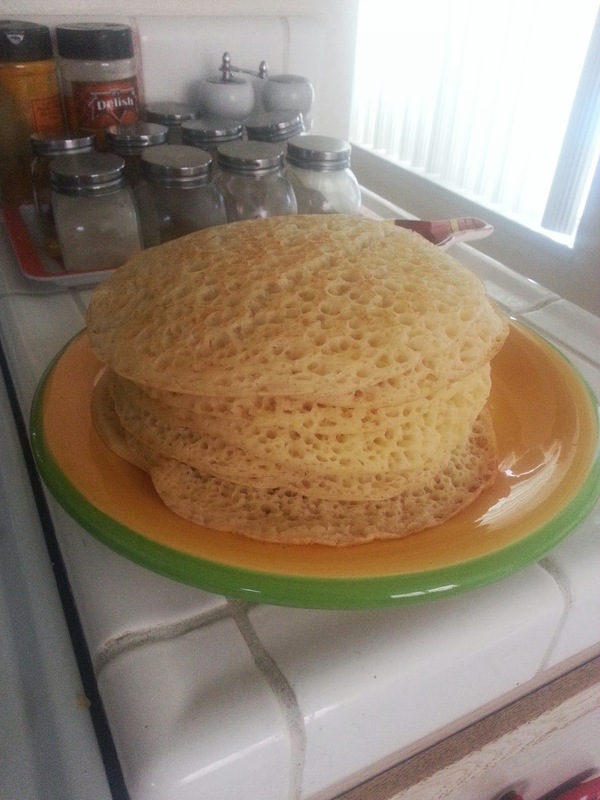 They are called Crepes with a Thousand Holes. Guess why? Cuz this is how they come out! 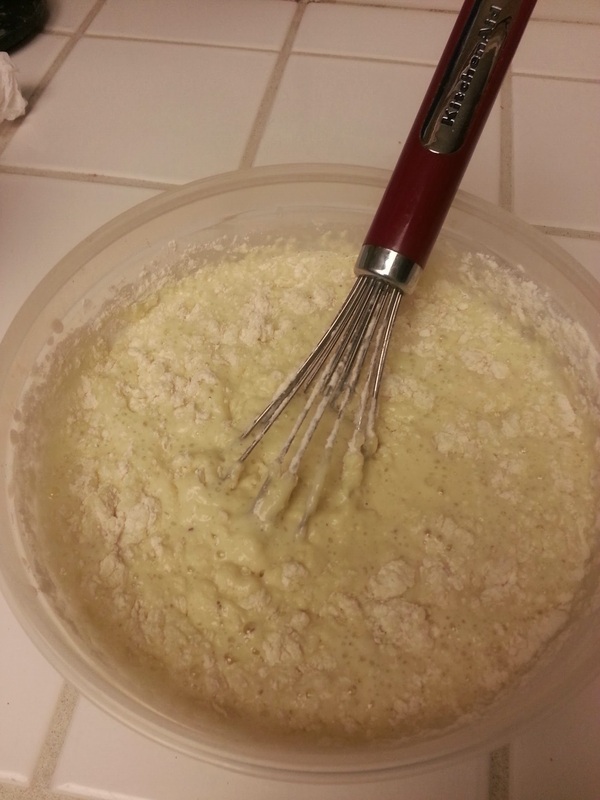 The dough for Baghrir is yeast-based, hence the wholes, with milk and a secret ingredient not widely known in the U.S. – semolina. Google it, if it does not sound familiar – you might like what you find! 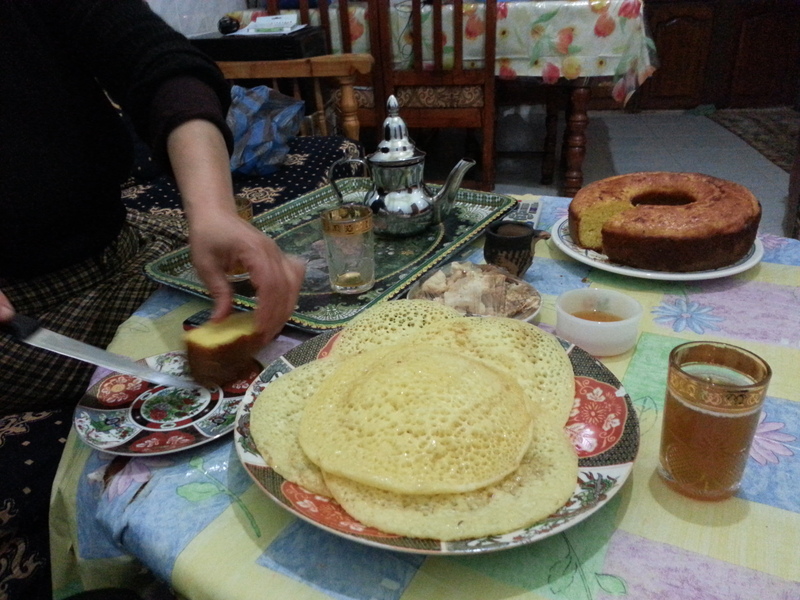 Ah, surprising thing about pancake -type treats in Morocco is the absence of eggs. You got me – no eggs in the dough. Instead, A LOT of butter and honey. I’m all for flipping! 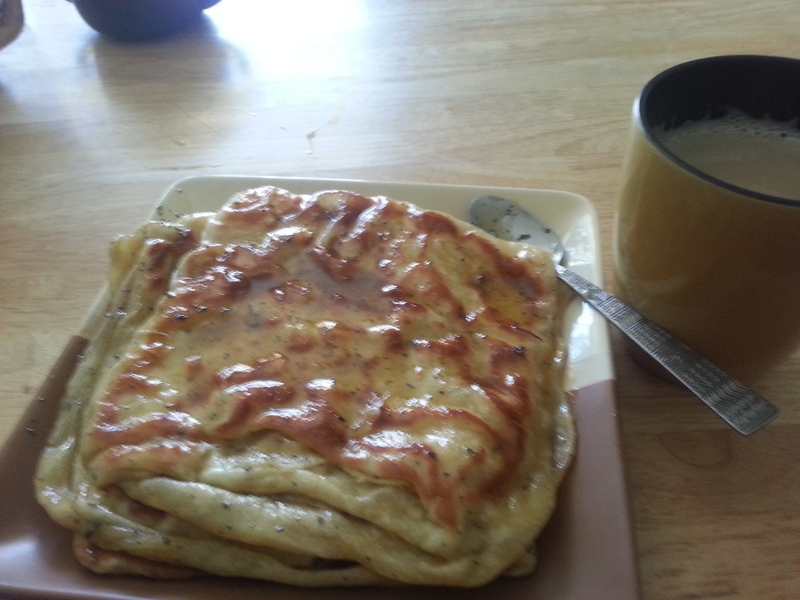 Another curious peculiarity of baghrir is that you fry them on one side only. Yes, fry on a dry hot pan. Well, I usually grease the pan with butter just a bit, to prevent sticking, which is not necessary if you have good quality non-stick pans. 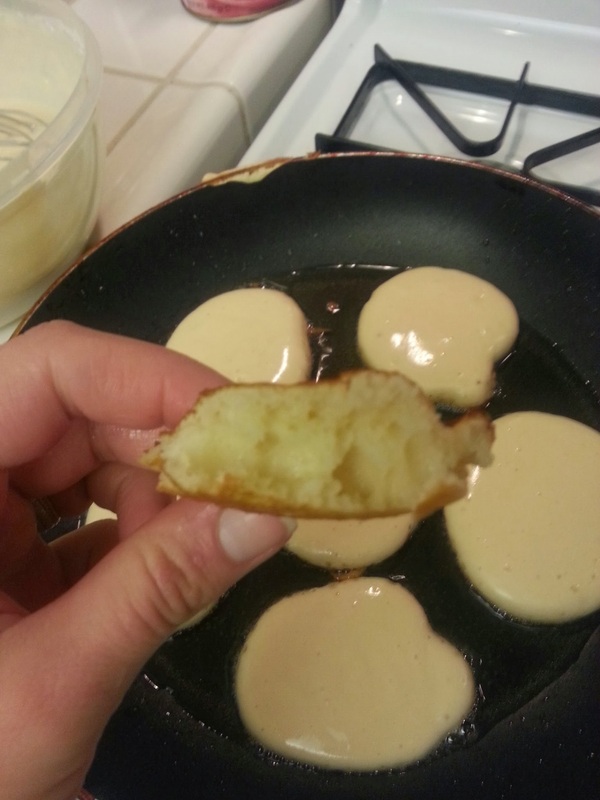 After frying every pancake is bathed in the syrup of hot butter and honey. Not dipped. Not poured over. But literally bathed. Every one of them! 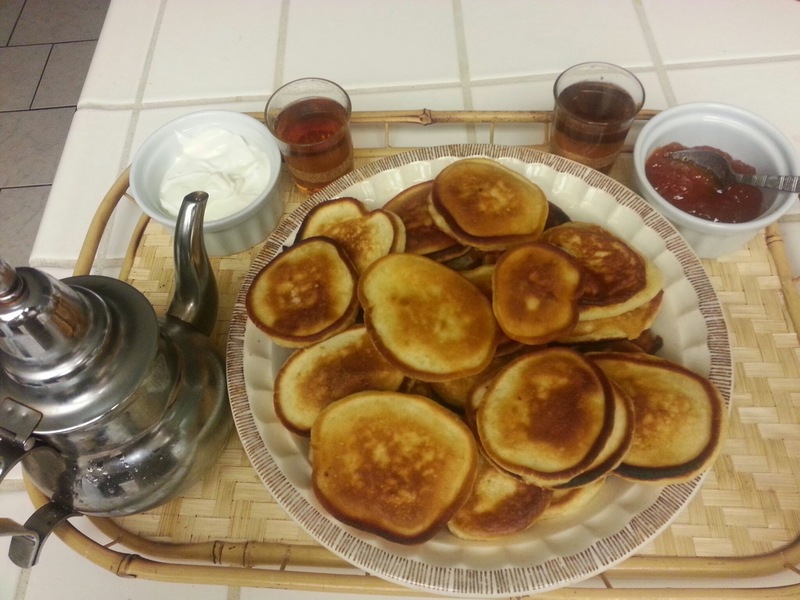 Served immediately, steaming, dipping with syrup with a cup of sweet Moroccan mint tea. They are square. Fried. With many layers, though not like a croissant dough, but rather like a Napoleon if you take just one layer of it without the cream. My American readers may know a multi-layered Filo dough that is of Greek origin and can be bought even at Walmart. These are called Msemmen. And they are much trickier to come out good. First of all, the dough requires kneading. Energetic strokes, for 15-20 mins. I tried using a dough kneading machine with no success… After the kneading, the dough is cut into pieces and shaped. Shaping Msemmen is an art – or a skill – in itself. One should fold the dough as a piece of paper in a strict order, not forgetting to brush it with melted butter on one step and sprinkle with semolina on another. Next stop – the USA! Though I know ridiculously little about pancakes here besides that they look like large Ukrainian oladji, served in stacks with syrup poured over. All I can say for sure is that they look irresistibly attractive! 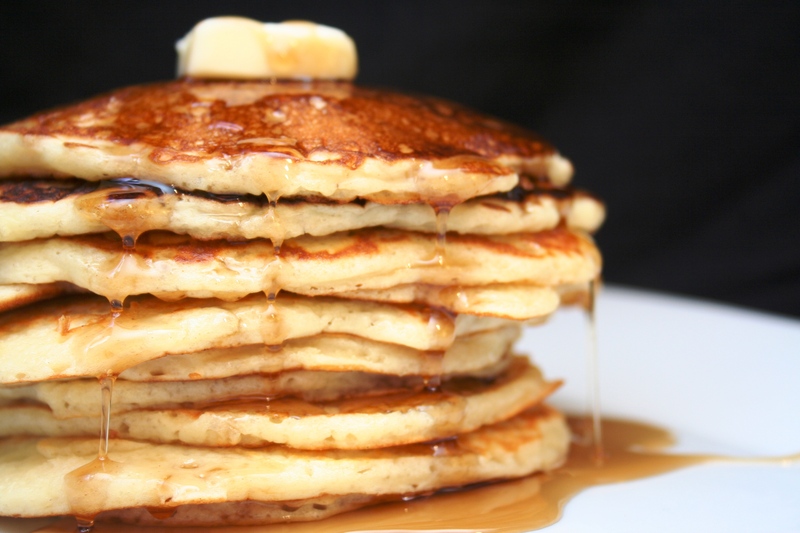 Oh, by the way, IHOP (a chain of restaurants) offers free pancakes all day on Shrove Tuesday, which actually IS the American (as as I just got to know – Australian as well!) Pancake Week! Well, not actually free… They propose to give the cost of pancakes for charity. Which is not free for the buyer, but certainly the best way to spend one’s money on a meal! 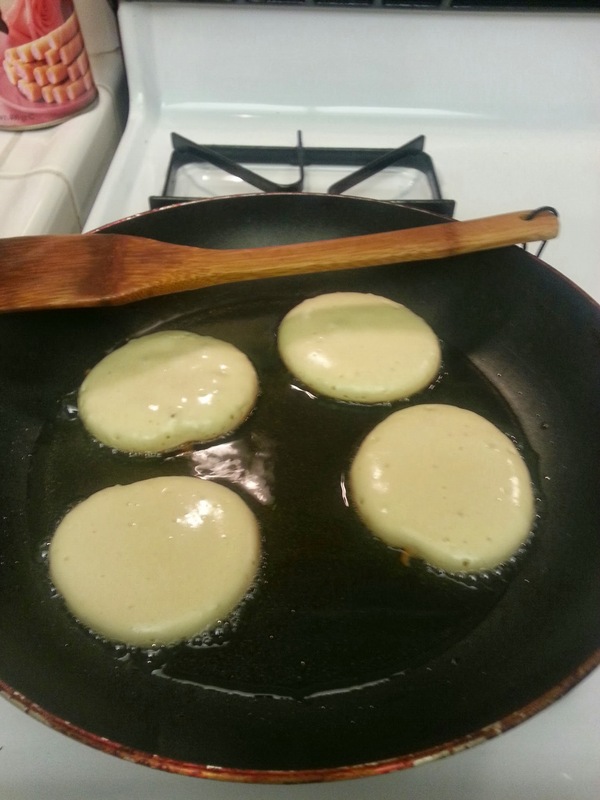 Shrove Tuesday is the last day before the Great Lent, Ash Wednesday. The origins of the holiday is the same religious idea to eat up all the diary products you might have still remaining at home before the Lent.